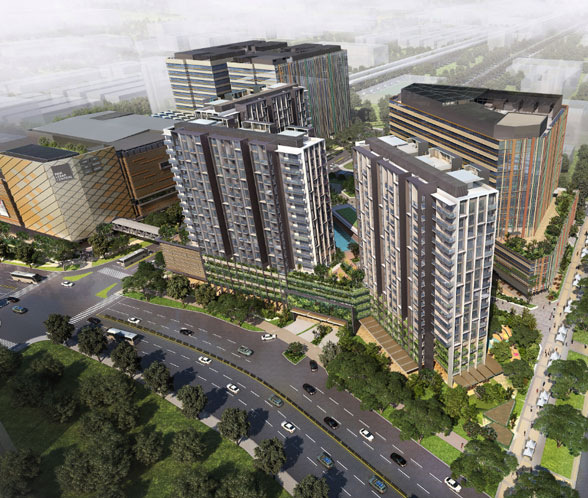 The residential component of Paya Lebar Quarter, called Park Place Residences at PLQ, will have three condominium towers of 17 storeys, including 4 floors of car parks. It is a medium size project: 429 residential units, comprising 1, 2 and 3 bedrooms apartments. Despite the current weak economic outlook, Lendlease is optimistic about selling and demand. Mr Richard Paine, Lendlease’s managing director for Paya Lebar Quarter, believes it will be highly sought after because of the fundamentals. Park Place Residences will mainly be marketed locally. Lendlease will likely launch these units for sale in the 1st half of 2017, with completion around the 1st half of 2019. About 100,000 sq ft of the development has been set aside for public spaces, including a cycling path and lush greenery. That will add to the appeal of both the offices and housing units. Lendlease will also cater “end-of-trip facilities”, like parking spaces for bicycles and personal mobility devices, changing rooms, lockers, and shower facilities. 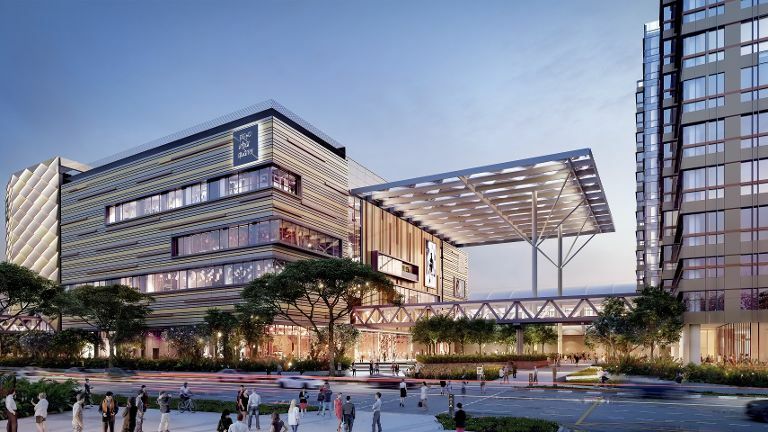 The consortium comprising Lendlease and Abu Dhabi Investment Authority won the tender for this site at Paya Lebar Central in 2015 with a $1.67 billion bid. That works out to about $943 psf per plot ratio for the land alone. International Property Advisor’s chief executive Ku Swee Yong estimates a selling price of around SGD$1,500 to $1,700 psf, while Cushman & Wakefield’s research director’s Christine Li thinks that it could be “…above $1,400 psf, with small units touching $1,500 PSF”. Lendlease itself has not announced any indicative price yet, and is not likely to do so till the actual sales date. Please register here if you would like to be kept posted on Park Place Residence. This entry was posted in Park Place Residences on August 27, 2016 by Reviewer.